I am glad to introduce myself as Prof. Dr Narasimhan Bharadwaj MDS, FICOI (US), Founder-Director. 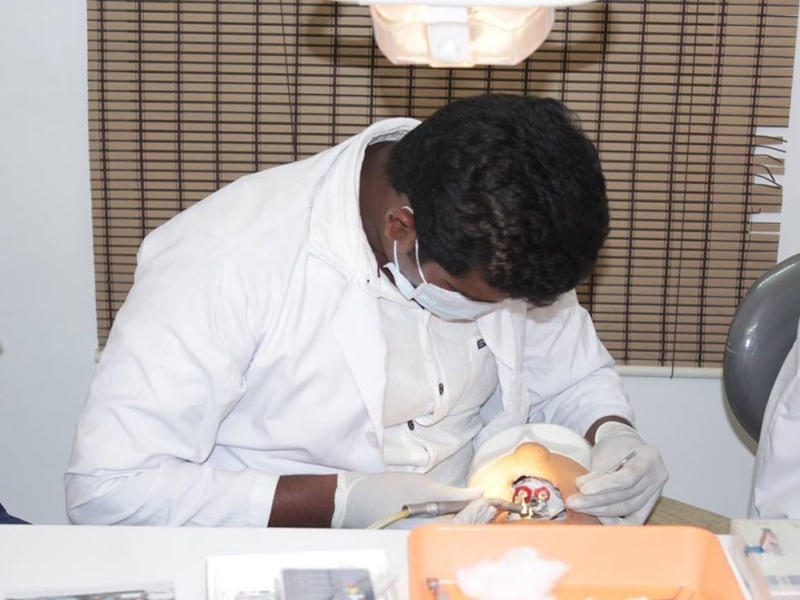 With a perennial desire to deliver top quality dental care in par with global standards at an affordable cost, the Multi-Speciality Dental Clinic was established in the year 2001. Ever since, the clinic has constantly upgraded itself with contemporary state of the art infrastructure & technology to enhance the quality of Dental Care perpetually. The clinic has scaled to new heights towards painless, precision & perfection in the discipline of Microscopic Root Canal Treatment. Towards excellence in SpecialIty Dental Care at an affordable cost. To provide Highest Standards in Simple & Complex Root Canal Therapy enhanced by the use of Microscopes & Lasers. To design, sculpt & create Satisfied Smiles. 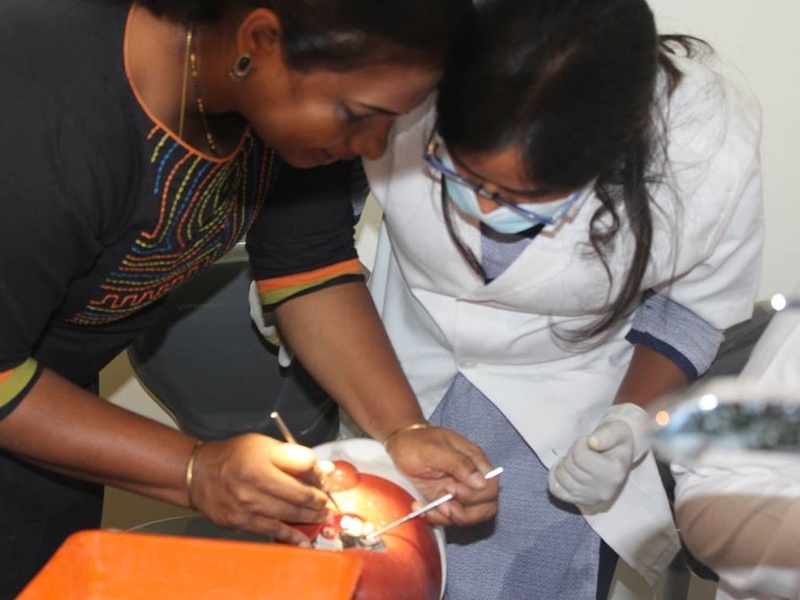 With the primary intention to disseminate knowledge in the field of Endodontics, Hands-on training modules were started at the center in the year 2012. The Hands-on Training center is equipped with a Lecture Hall, state of the art Phantom Head Mannequins & Microscopes with 24 independent Work Stations. 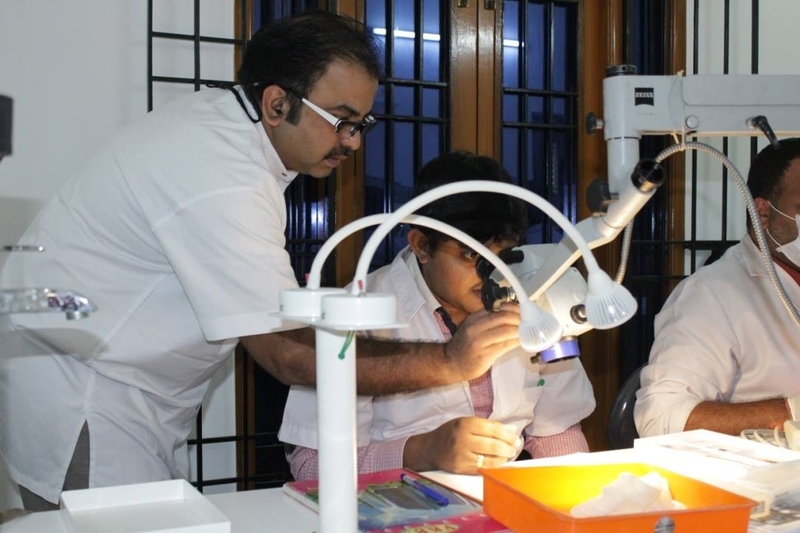 Further, with the core objective to reach affordable dental care to the underprivileged and simultaneous clinical training to Dentists, the Community Dental Clinic – Charitable Trust (Unit of Access Dental Institute) was initiated in the year 2014 to enhance clinical skills of practicing dentists and raise the bar of Endodontic Practice. 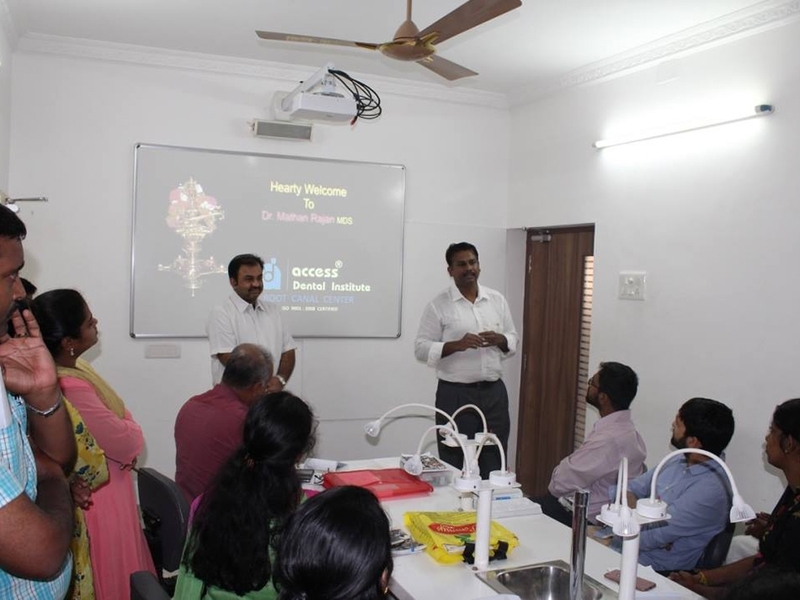 To update knowledge & skill in Rotary Endodontics from the Clinical perspective. 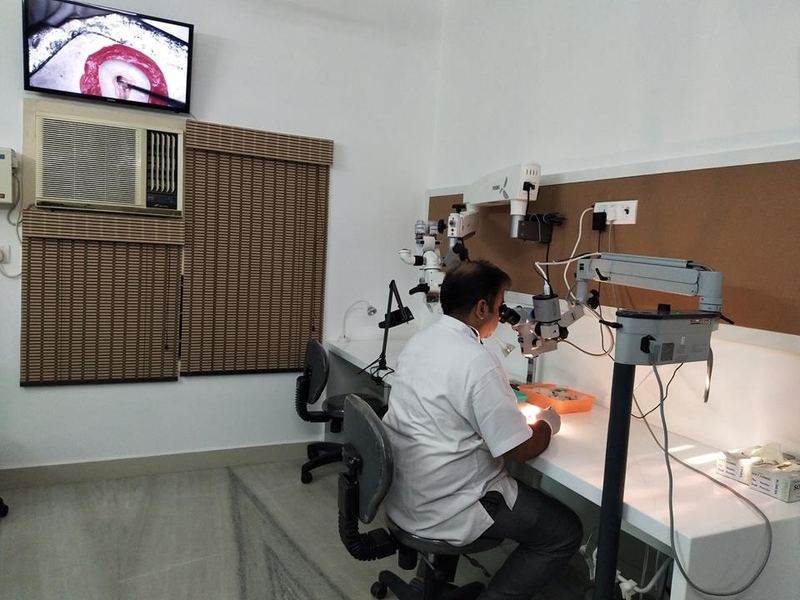 To enhance Endodontic skills with Microscopes and Advanced techniques. To refine Clinical working on patients by imparting clinical acumen. Excellent service and we got a very good knowledge about our dental care. Love to visit this hospital as perfection in execution and excellent hospitality. The Clinic seems to have well trained and educated Doctors and Nurses. The staff sounds quite good. “ Nice, well organised program with a lot of clinical tips ; Initially I thought for advanced program but I want to learn under a single mentor. So only I joined basic course too. Hopefully I will join the advanced course as early as possible ; Good program not only for budding dentists also for existing practioners. “Was worth an experience, Learned, cleared all my doubts and confident enough to do an RCT. Lectures are very relevant to clinical. Exactly transparent of what is being discussed is done. Demonstration were very clear and nice clinical pictures, very informative and appreciable. Hands-on exercise were adequate enough to regain our touch back. Live RCT on a patient was very clear and audible. Narasimhan sir has been very transparent here and guided as well enough. Thank you again for your support sir…!!! “The schedule & duration is very comfortable, Enjoyed seeing crystal clear demonstration. Indirect Vision - 1st day I couldn’t, 2nd day partly, 3rd day I did 100% I realised I could do. I will continue. There were no restriction for hands-on exercise. Very clear, audible, perfect LIVE RCT on patient. Very good experience, Learnt a lot. I have already started referring and telling my friends to do it. Thank you sir…. Hats off to your efforts……!!! Great Experience and very interactive and Motivating session. The Concept of training under multiple brands of Microscopes are very much useful. Faculty guidance was great during hands-on. Would be happy to do more exercises. 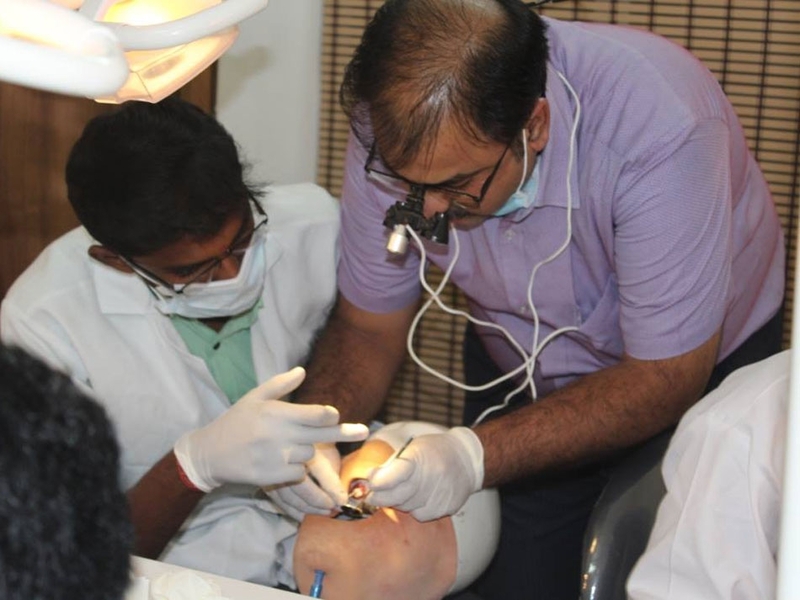 Dr Narasimhan sir guidance during Scope Orientation, Demo & Hands –on was extremely fantastic. Extra teeth was provided for my Hands-on which I appreciate. Love to work under scopes. "Have kick started a new dimension in my career"
"Too good and very informative ; hope you continue the same way or even better"
"X ray taking can be included"
"Its really an excellent course. I feel proud that I knew something extra about RCT compared to my friends through this course"
"This course was extraordinary exceeding our expectations. It was difficult for us when we started doing RCT and after the course its lot easier and we understood the concepts correctly"
"Was really good and working under Phantom head was awesome"
"On day 1 of my hands-on I found it very difficult to orient to indirect vision ; but due to phantom head training was able to orient more easier on day 2 ; thank you sir, I have been really benefitted by this course"
Below are some of the treated smiles, restored teeth and corrected dentition in our Access Dental Institute. With the intention of helping young aspiring dentists to get mastered in Dentistry, we provide a platform for the young minds to learn and grow in Dental Health Sciences. Here are some of the illustrations of our coaching and hands-on exercises.